Imagine organizing an appetizer and wine tour of the area or eating at seven North Carolina BBQ joints in six hours! These are just a few things Lesley Stracks-Mullem did for fun for her brother-in-law’s visit to North Carolina a few years ago. Lesley has a passion for food and fun, which she was able to fuel into creating a successful business. Taste Carolina was launched in March 2009 by Lesley and her business partner, Joe Philipose. Taste Carolina offers gourmet food tours in Raleigh as well as other cities throughout North Carolina. Whether you’re a Raleigh resident or a visitor, you’ll love walking downtown while enjoying the sights and tastes this historic city has to offer. Downtown Raleigh tours are available all weekend long and on weekdays by special appointment. I had the opportunity to attend the 3:30pm Saturday afternoon Taste Carolina tour. I laced up my sneakers and hit the streets of downtown Raleigh for my first food tour. Quite the appetizing way to spend an afternoon, don’t you think? Our group’s enthusiastic tour guide, Jeanie, explained the history behind the Capitol Building and architecture of old buildings as we made our way to Sitti, an authentic Lebanese restaurant. We were greeted by the friendly Sitti employees as plates of food and baskets of warm pita bread approached our table. The pita bread dipped in hummus was delicious and I sampled the warak anab, grape leaves stuffed with rice and vegetables. I used even more pita (seriously, the stuff is addicting) to try the chicken shawarma, thinly sliced marinated chicken breast served with garlic whip and pickled cucumber. The food was never ending; soon a za’atar pie was sitting in front of me. How could I resist? I grabbed a piece as I drank the rest of my cool pomegranate spritzer. 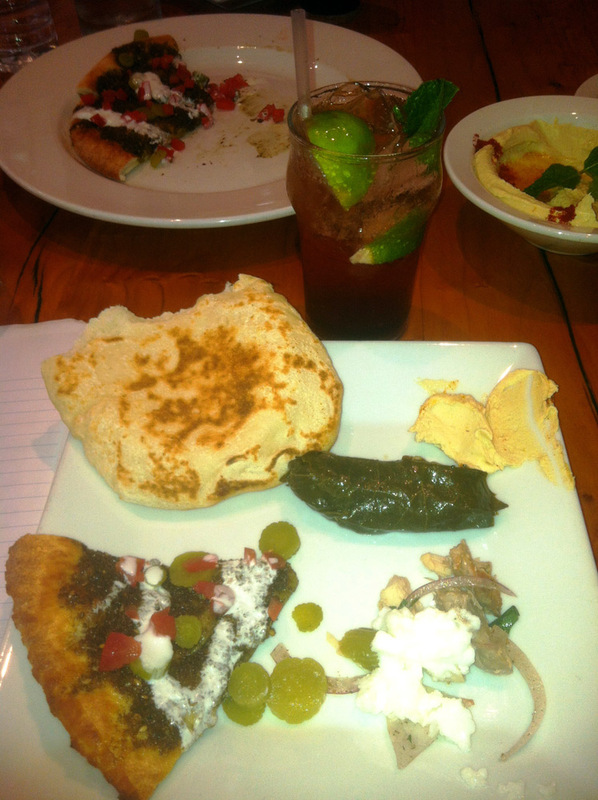 I was highly impressed with Sitti’s showcase of some of their most popular dishes. What a fabulous first stop! Our next stop on the tour was Foundation for “liquid food” only. Foundation is an urban bar that sits in the basement of an old building off Fayetteville St. Be careful or you might pass right by this watering hole who’s known for offering a wide selection of scotch, moonshine, and bourbon. They also make their own tonics and sodas in-house. 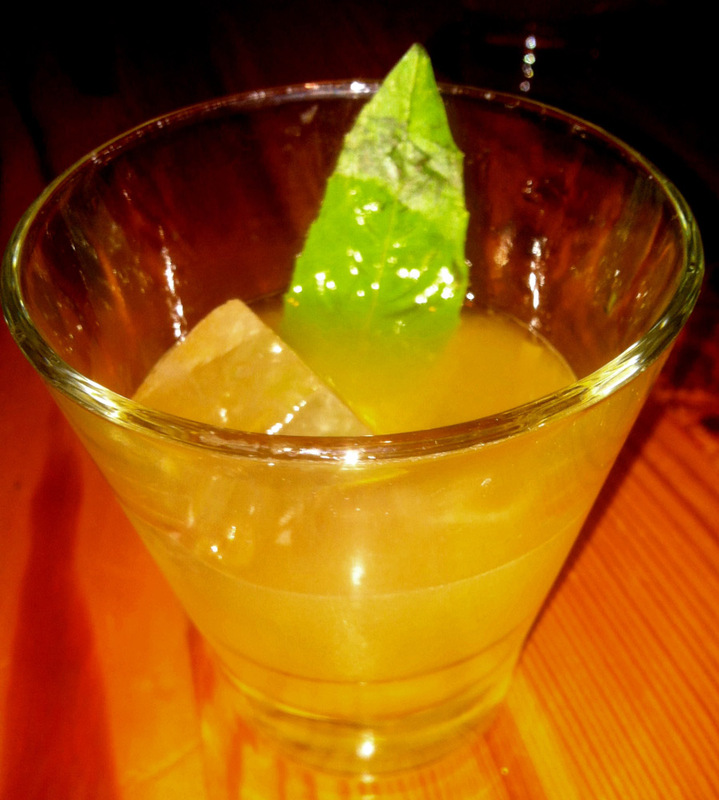 I sampled the basil smash, which is made with Evan Williams 1783 bourbon, basil syrup, basil leaves, and fresh squeezed lemon juice. The drink was refreshing and packed a punch. The tour group started getting a little rowdy as shots of Troy and Son’s Moonshine from North Carolina were passed around the table. These weren’t included with the tour but you are always given the opportunity to order more drinks. We walked a few more blocks to Beasley’s Chicken + Honey on South Wilmington St. 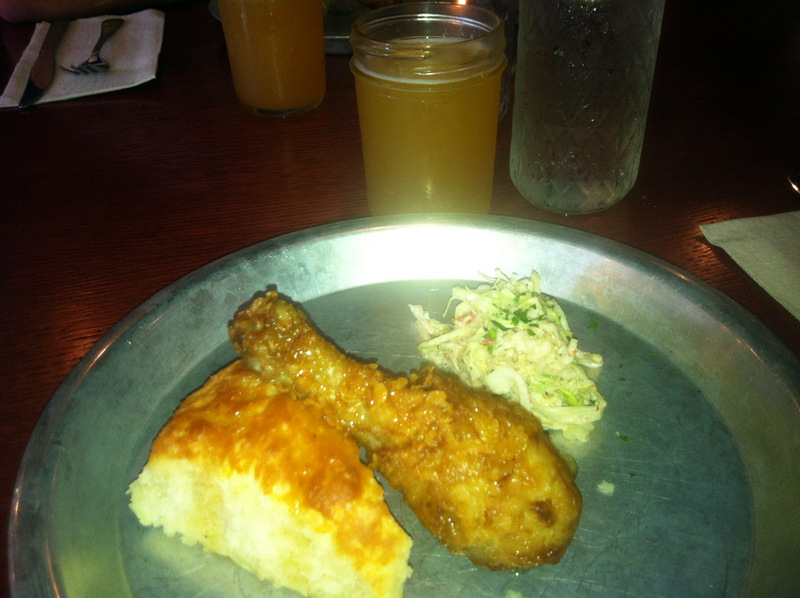 I drank a sample of Fullsteam Beasley’s Honey White out of a mason jar and enjoyed a plate of Southern comfort food with a twist, then devoured the honey fried chicken, homemade crunchy slaw and soft buttermilk biscuit. The food was served on a silver platter and rightfully so because it sure was amazing! No wonder Beasley’s was nominated as one of Bon Appetit’s 50 best new restaurants in the nation. 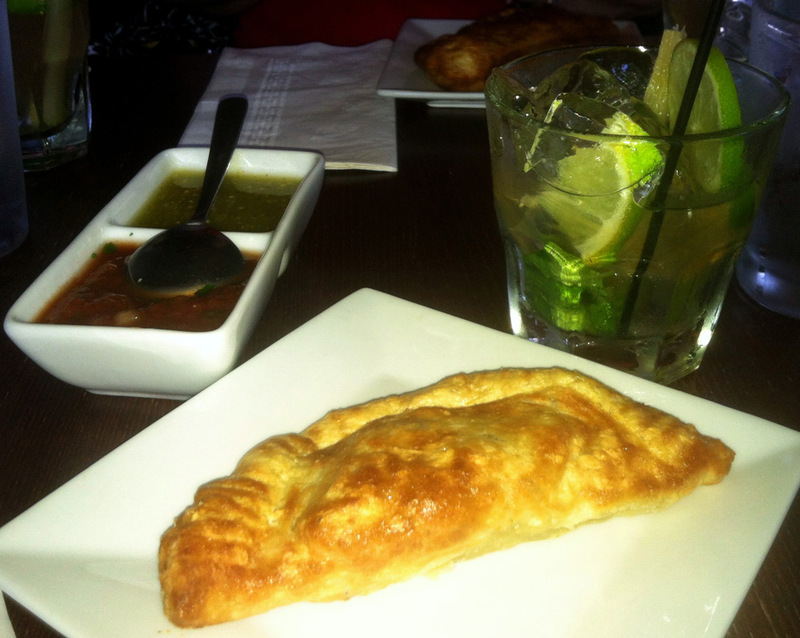 We trekked down Blount St. to Calavera, an empanada and tequila bar. I sipped on a tecate mojito served with sugar cane and lime. We each received the Piggly Wiggly empanada, stuffed with pulled pork and cheese. The flaky crust was divine and I especially enjoyed how Calavera managed to fuse North Carolina pork with the traditional Spanish empanada. Our bellies were full and we definitely needed to take a hike! The next stop on the tour was Jibarra, located in the Warehouse District off of West Davie St. Jibarra offers modern Mexican cuisine with global influences. 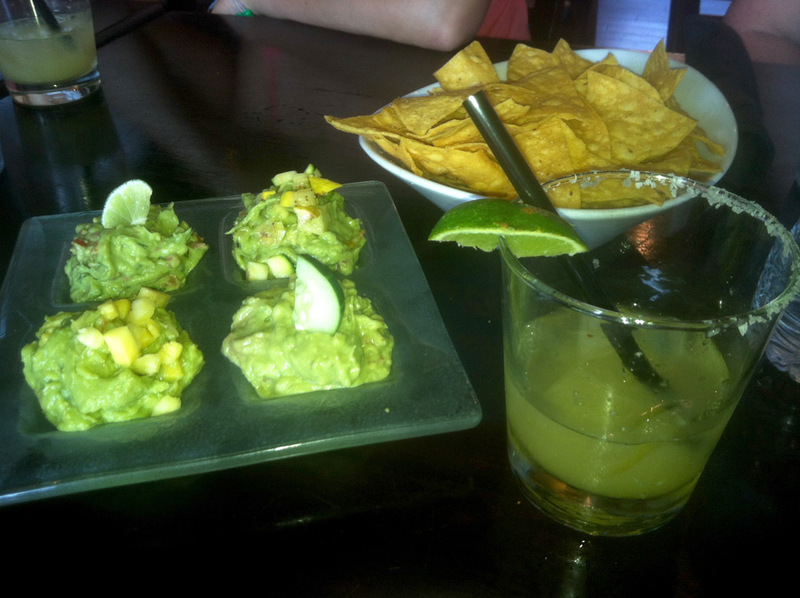 We sampled four types of guacamole and a fabulous margarita made with agave tequila. My favorite was the mango-pina prepared with mango, pineapple, habanero, mint and basil. The guacaziki was also tasty and unique, yogurt-cucumber tzaziki, tomato and roasted Serrano peppers. The last stop on the tour was Wilmoore Cafe, located off of South Wilmington St. and Moore St. Get the name now? Wilmoore Cafe was the perfect way to end our walking food tour. The owner David Fowle greeted us and talked about the importance of local sourcing. He uses Carrboro Coffee and prepares homemade desserts, sandwiches and more. 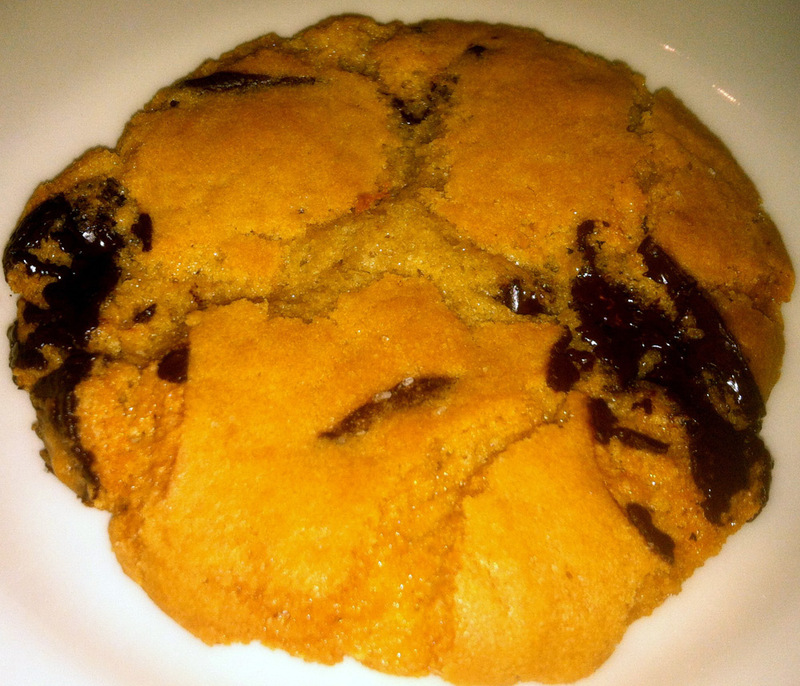 I enjoyed a cup of medium roast Columbian coffee and one amazing cookie, Belgian chocolate with sea salt. What a sweet ending to an excellent tour! Taste Carolina offers a wide variety of tours at reasonable prices. If you’re a Raleigh resident looking to break up the monotony of your weekend or if you’re a visitor from out of town, I know you’ll have a great time on a downtown Raleigh Taste Carolina tour. Written by local Foodie expert, Kristen.